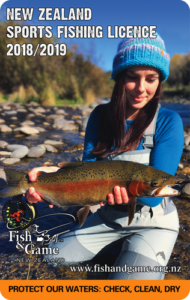 Winter is highly overrated … roll on October 1st and the upcoming New Zealand trout fishing season. 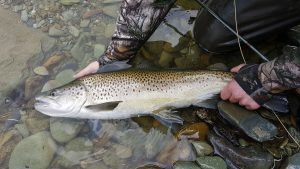 In my 2017 newsletter I suggested that good river levels and a benevolent 2017 winter would probably mean a great start to the 2017-18 trout fishing season in our patch of New Zealand. So it proved to be. When asked how things were progressing up to the New Year, I replied unequivocally that, “it was our best trout fishing season in years”. Rivers were holding plenty of well conditioned trout and turning on some great catches. A long spell of beautiful weather from late-October saw water levels dropping steadily. By early-January the rivers around the Top-of-the-South Island were running at more like ‘mid-summer-low-flows’. We actually started praying for a decent rain. That all changed on January 12th when we got way more water than we’d asked for. The first of a series of cyclones arrived and played havoc with our weather … and our rivers. From mid-January through until late-February we were battered by three different cyclones and several other significant flood events. 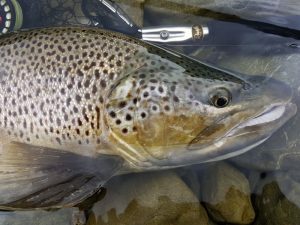 Around the region rivers flowed full for the rest of the season, at times making for super challenging fishing conditions. The climate-change soothsayers absolutely got my attention! However, ‘Trout Fishing’ is what we do and I truly admired the spirit my anglers brought on occasions when the prospects for the day appeared far from perfect. 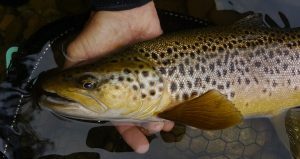 Despite the horrible weather, they fronted with resolve and mostly we caught fish in spite of some testing conditions. It’d be fair to say we didn’t always ‘knock ’em dead’. In-truth we experienced more blank days in the latter half of this past fishing season, than I’d expect from a couple of full seasons. However, even with all the high water, we found some surprisingly excellent dry fly fishing and regularly caught our share of very fine trout. Compared to most years, double-digit trout were few and far between around these parts. However, while we didn’t quite crack the magic ten-pound mark, we still managed to land some big, healthy and beautiful trophy fish. 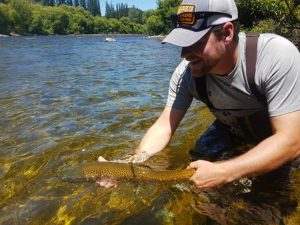 As the weather settled in late March and April, the plentiful flows and cooler temperatures prompted a lot of late season fish movement, particularly in the Nelson rivers. Fishing mostly dry flies and nymphs we managed to put together plenty of fun days with a regular flow of feisty trout to the net. We often had the water completely to ourselves, which was a bonus. The latter half of the 2017-18 trout fishing season won’t go down as my favourite, for sure! Ultimately it rated as probably the toughest fishing season I’ve guided in 38 years. However, even with the terrible weather and challenging river conditions, this tough season proved to me that our area can still provide plenty of fishing opportunities and a pretty damn good angling experience, whatever nature throws at us. The key to catching some stunning trout was in the angler’s attitude and determination … always has been … always will be. So, how’s it all looking here for the new season commencing in only a few weeks? 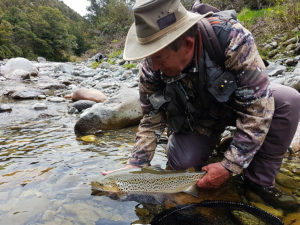 It’s been a wet winter in the upper South Island and while many rivers are all still running high, the weather in the last few weeks has finally started to settle. Thankfully there have been no truly serious floods and the high water will have helped the recent spawning season. 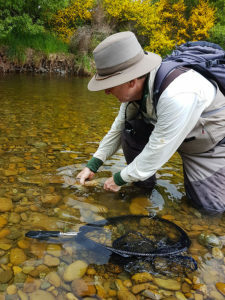 Trout are now returning from their spawning activities and some nice fish are being caught in the lower reaches of the likes of the Motueka and Pelorus rivers, which are open to angling all year. There’s still a good snow pack on our mountains which will ensure reasonable flows well into November. Once again I’m hopeful for a positive start to next season. I can’t wait to get back into some of our more remote and beautiful backcountry streams. My guiding calendar of Available Dates is looking pretty full through until the end of January. However, there is one really good pre-Christmas time-slot still available from November 25 – December 5. Get in quick if you are interested … this is prime time for the Coloburiscus mayfly hatch. Throughout February and March I still have heaps of good space and I’m really looking forward to filling most of that over the next couple of months. Give me a call (+64 274 732483) if you want to come and fish during what many anglers consider the ‘peak of the season’. The Non-Resident Licence (NRL) category is now a well established requirement for anglers visiting from overseas. A Non-Resident is defined as a person who is neither a New Zealand citizen nor a permanent resident (more details here). 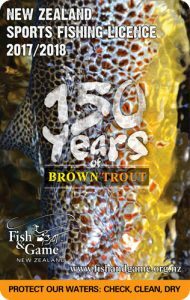 The cost of a NRL Adult Full Season Licence for the coming trout fishing season will be NZD$169.00. This is the best option for visiting anglers who intend to fish for five or more days. 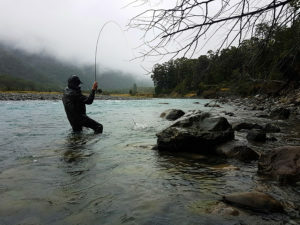 Anglers anticipating fishing any of the following rivers; Travers Rv, Goulter Rv, Upper Wairau Rv, Upper Matakitaki Rv or the Karamea or Mokihinui River Catchments, will also need to apply online for the Backcountry Licence Endorsement. This costs nothing, but is in addition to your Full Season fishing licence before we can fish in these areas. This coming 2018-19 trout fishing season sees the introduction of Non-Resident One Day Licences. The cost for an Adult has been set at NZD$34.00 per day . 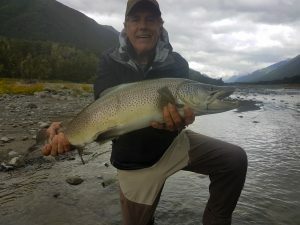 This is a good option for anyone who anticipates fishing for less than five days during their visit to New Zealand. Day licences are valid for a specified 24 hour period only and are not transferable to other dates. 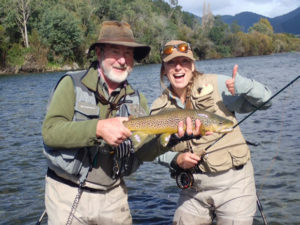 Non-Resident Licences are available for Adult, Junior and Child categories and Fish and Game Licences cover all of New Zealand except the Taupo Region. 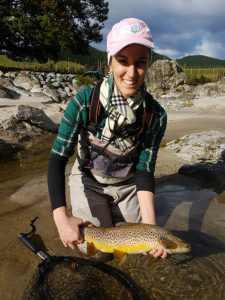 The Motueka River is our most important local fishery, providing easy access from Nelson to productive waters along most of its fishable length. 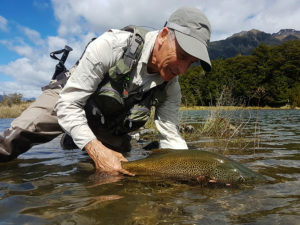 Recognised as one of New Zealand’s premier brown trout fisheries, Fish and Game drift-dive surveys this last summer showed that trout populations in the ‘Mot’ have rebounded to levels not seen since the early 1990s. This bodes well for anglers visiting this upcoming trout fishing season. It’s hard to keep a good Toyota down. The 6th March 2018, marked a significant ‘milestone’ (… well kilometres actually) for my faithful Toyota Landcruiser. 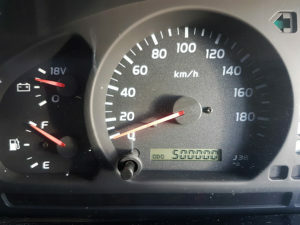 The old campaigner ticked over 500,000 kms. Fittingly my angler on the day, Andrew Tillard from the UK, was a good mate of old friend and past customer Philip Farrer, who originally sold me the ‘cruiser. Benchmarks like these call for a small celebration in recognition of many respectable trout fishing kms and a ‘job well-done’. A host of good memories … and the odd occasion when we got stuck trying! 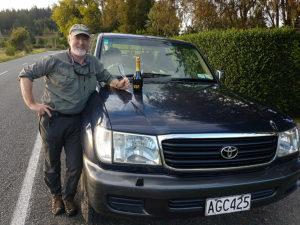 Cheers to the next 150,000 kms at least … that might even see the both of us out! After an excellent finish to the 2016-17 season (which saw good numbers of prime conditioned trout in many rivers), followed now by a benevolent winter with no huge floods here in the north of the South Island, the odds are on for a great start to the 2017-18 season. A reasonable snow-pack on our mountains should ensure consistent river-flows through until Christmas and provide good fishing on both our local ‘front-country’ rivers as well as more remote back-country waters. 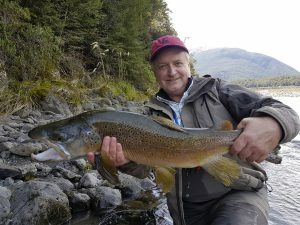 With many other areas of the South Island experiencing severe flooding over this past winter, the Nelson-Marlborough district could very well be ‘the place to fish’ this coming season . At this stage I’m not aware of any ‘burgeoning’ mice populations, which means a more ‘normal season’, fishing for regular sized trout. 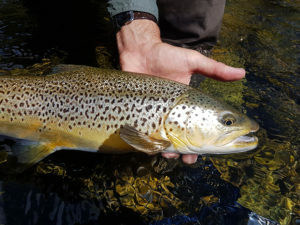 However, regardless of whether or not there is extra protein available, our trout will still maintain an average size and quality, the envy of most other places … and as always we’ll manage to find a trophy or two somewhere, as there’s always some ‘big boys’ around whose size isn’t totally dependent on a rodent-diet. With less than 30 days to go to Opening Day (October 1st), the countdown to the new season is truly on. Bookings at this stage (particularly out of the USA) have been unusually light. Whether or not this slowdown in bookings is due partly to the current turbulent times in US politics (as some have suggested), remains to be seen, but many guides are witnessing the same phenomenon. In an age of instant communication via internet and social media, the trend also seems to be for bookings to get later each year. In case you may have heard mischievous rumours that I have retired … I can assure you they are totally untrue! After my ‘sabbatical year’ two seasons ago, I am back boots and all guiding over 100 days last season, and anticipate doing so for many more seasons yet. 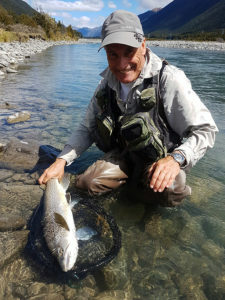 There’s no water in the top of the South Island I haven’t fished on a regular basis for the last 37 seasons … and I’m looking forward to keeping the heat on our resident trout populations for a while longer. I have plenty of Available Dates open for most months, so checkout the options and give me a call … fishing by myself is only half as much fun! Last season was one of the most unusual I have guided in 36 years and one of the wettest on record. We started out with very high river levels which persisted then right through into the autumn. 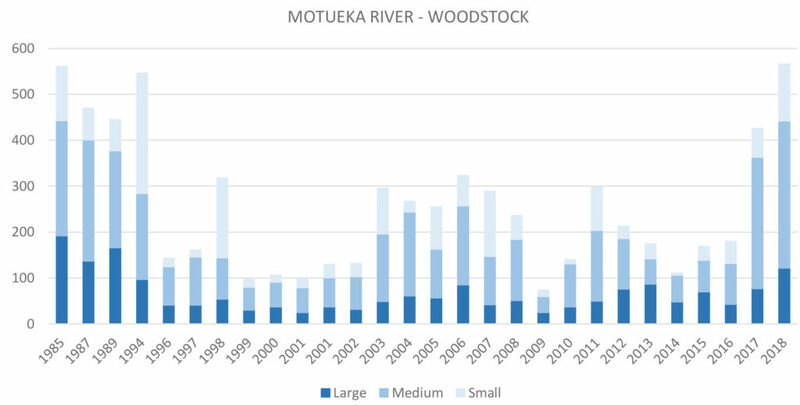 Normally we would be crossing the likes of the Motueka River quite easily by late November (if not earlier) but last season, because of consistently high water, the river remained difficult to cross right through until late February-March … in fact it was never really easy. This was the same pattern for most rivers in the district, but more so for western rivers which remained quite challenging for the entire season. Some stretches on helicopter rivers like the Karamea, were often too tough to fish for long periods because river crossings were frequently difficult. This all conspired to make our fishing even more challenging than normal, but no doubt many trout appreciated escaping the harassment from anglers for sometimes weeks on end. Early season showed a lot of promise with localized mice populations on a few rivers, which always catches our attention. As was to be anticipated we found a few trophy fish in these locations, only to be frustrated by wildly fluctuating river levels on many of our forays. While we did manage to bring a couple of DDs to net, it wasn’t really our season for the biggest fish … rather more like ‘Trout 9 – Anglers 2’ … as the big boys mostly got the better of us, either busting us off or dropping the hook part-way through the fight. There was one monster (potentially 13 – 14 lbs) that we pursued on a number of occasions from December – March, hooking it on three occasions and missing the strike once. I suspect he eventually got a little ‘annoyed’ by our attention as he moved on in March and I couldn’t locate him again for the rest of the season. He was truly a sight that got the pulse pounding while he was around though. Hopefully he’ll return to his old haunts this season … and maybe we’ll have better luck. The high water did have some benefits however. River temperatures remained in a very comfortable range for trout throughout the season (11′-20’C) and thankfully there was no period when water temperatures rose to critical levels around 23’C, which is not uncommon on some of our local low-country rivers from around midday in the height of summer. The favourable temperatures helped our local trout maintain and build condition, and everywhere we fished the brownies we caught were in great ‘nick’. Because there was more water in the headwaters, trout also pushed further upstream in better numbers than I have seen for the last five years. 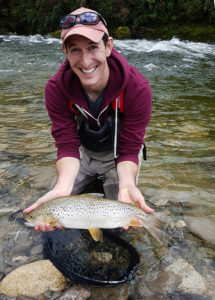 While overall trout numbers were still not up to historical highs (because of the succession of damaging floods affecting many of our rivers over that period), they did show promising increases on some key rivers and hopefully the positive trend for our local trout populations is set to continue. 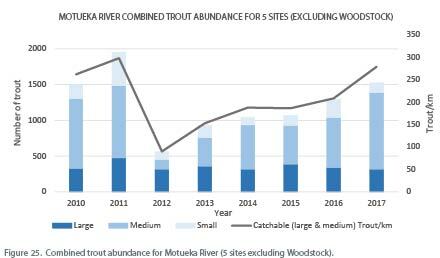 The following table on the Motueka River is from the Nelson-Marlborough Fish & Game Council’s Annnual Fisheries Report for 2016-17. 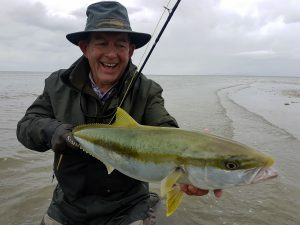 Following on from our initial sorties the previous season after southern Yellowtail Kingfish (Kingies) on the Golden Bay flats, we ventured over there again this season on a few occasions with mixed results. On a couple of visits when water temperatures were noticeably cooler than the previous season, we struggled to get onto many fish. However when we did strike favourable water temperatures the fishing was productive. 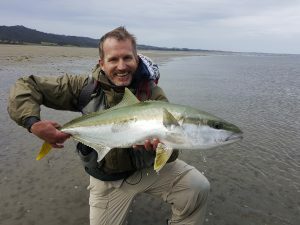 We caught a mix of nice kingies and large kahawhai on our early ventures in January, while the best morning in early March saw 15 kingies hooked and 9 landed between 65 and 85cms. 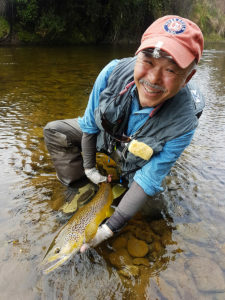 It appears that consistent success in this fishery is very dependent on finding warm enough water temperatures, but when it’s on this is certainly a fun fishing option. 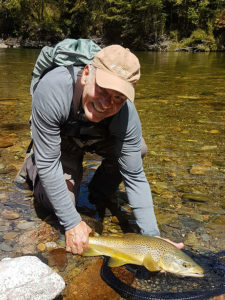 While my guiding focus will remain very much on fly fishing for our wonderful brown trout, if any angler is interested in getting after kingies I am happy to discuss options with you. 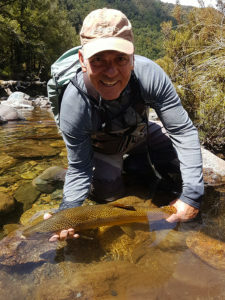 If it works out as a nice backup day to our trout fishing I am happy to work with you, but if you’d prefer to focus on several days pursuing kingies I can detail options and put you in touch with other guides who are specialising in fishing for them. The Non-Resident Licence category is now a well established requirement for anglers visiting from overseas. A Non-Resident is defined as a person who is neither a New Zealand citizen nor a permanent resident (more details here). 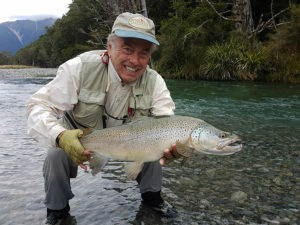 The cost of a NRL Full Season licence for the coming season will be NZD$165.00 and is required by anglers wishing to fish for more than 6 days. They cover all of New Zealand except the Taupo Region. 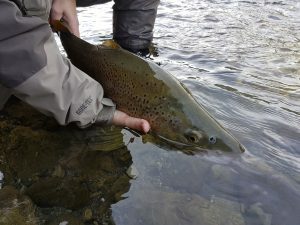 For those fishing for less than 6 days, purchasing the appropriate number of 24 hour licences is a more cost effective option but I suspect most of you will be keen however to support Fish and Game New Zealand, as the only funding they receive to manage our great fisheries is from licence sales. In fact many of you over the years generously previously purchased a Whole Season Licence, even when you were only fishing for a few days. 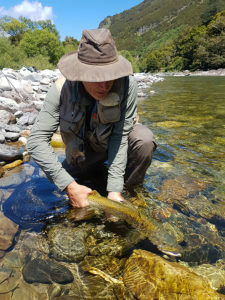 For those anglers anticipating fishing any of the following rivers; Travers, Goulter, Upper Wairau, Upper Matakitaki, Karamea Catchment or Mokihinui Catchment, you will also need to apply online for the Backcountry Licence Endorsement to go along with your fishing licence before we can fish in these areas. Purchase your Non-Resident Trout Fishing Licence here. Bac k when I first started guiding (sigh … in 1980), it was common for most anglers I knew to kill a fish or two. However as our fishery became more popular, particularly with anglers from the USA, we were increasingly encouraged to practice Catch and Release. For a while a small group of us led the cause and promoted catch and release to the wider New Zealand angling public. 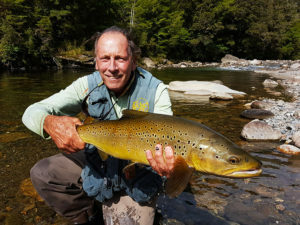 By the late 1980’s Catch and Release had been adopted by the New Zealand Professional Fishing Guides Association (NZPFGA) in their Code of Ethics and despite fisheries regulations that still permit the killing of trout, it has now become the norm among most serious fly anglers across many fisheries in New Zealand. The key to successfully releasing fish to ensure their maximum chance of survival is to employ safe handling techniques, and to this end we always followed the best protocols in fish handling that we could glean from science and the wider angling community … e.g. use a landing net, land fish quickly, wet hands, avoid fingers in the gill area, don’t squeeze trout around their vital organs, minimise handling time and exposure to the air etc. Behavioural impairment of anything from spawning to swimming behavior. Altered foraging efficiency including ability to find, compete for and capture food. Additional energy required for healing wounds can impact physical growth. Negative impacts on immune function, offspring quality and reproductive success. 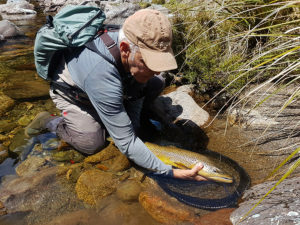 If planning to release fish, extra care becomes crucial when handling larger (trophy) trout, trout that are close to spawning or trout caught during periods of higher water temperatures, especially with respect to limiting their exposure time to air. Science clearly indicates that we still need to do more to up our game with respect to our handling techniques. I sincerely recommend everyone take the time to look over the Keepemwet Fishing website, The website is a wealth of information on tips and research into safe fish handling in both fresh and saltwater. 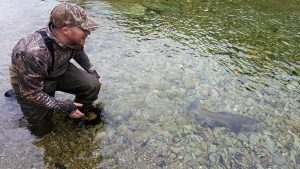 Keepemwet is about releasing fish in the best condition possible. It’s a motto for minimizing air exposure, eliminating contact with dry surfaces, and reducing handling. It’s a movement to empower anglers to take small, simple steps to responsibly enjoy and share fishing experiences. The goal is to minimize the impact of catch & release angling on fisheries by uniting conscientious anglers, organizations and companies to promote science based practices for handling fish that are released. At this year’s annual conference of the NZPFGA in Queenstown, member guides resolved to adopt Keepemwet Principles. From now on, when my anglers and I ‘Catch and Release’, we will be even more conscientious in returning our trout to the river with the minimum of stress. The ‘Grip and Grin’ photos we commonly took will become a thing of the past and we will concentrate on taking a new style of photograph of our successes … photos where the fish remains in contact with the water or is only exposed for a period of less than 10 seconds. … we need to do it for our fish. Keepemwet is the evolution of releasing fish. Our fish! Your Fish! In Nelson we are also lucky to have our own special team of dedicated scientists providing world leading research programmes for freshwater ecology and fisheries. The Cawthron Institute delivers world-class science to develops practical solution and make a real difference to the future of our natural environment and resources. The sustainable management of New Zealand’s freshwater, coastal and natural environments is one of Cawthron Institute’s top priorities. The Institute was opened in 1921 thanks to a bequest from Nelson businessman and philanthropist Thomas Cawthron, to focus on finding research-based solutions to develop and shape our nation. Today his bequest is represented in the Institute’s extensive research facilities and 200 highly qualified staff. Over the years Cawthron has been successful at obtaining funding for research through contesable central government bidding processes, but increasingly research is vulnerable to government priorities which change over time. As with many places in the world New Zealand’s freshwaters and fisheries are degrading in response to various environmental pressures, foremost being intensive agricultural land use. People’s enjoyment of freshwater is increasingly curtailed due to poor water quality and diminished flows, and largely unregulated recreational usage. Cawthron Foundation is a registered charity (charity no. CC28711), established to support the world-class, independent research developed and delivered by Cawthron Institute to benefit New Zealand and our global environment. It is overseen by an independent trust board chaired by Dr Morgan Williams – current chair of World Wide Fund for Nature in New Zealand and former Parliamentary Commissioner for the Environment. Recently the Cawthron Foundation has established a funding opportunity for donors interested in supporting long-term research that will help stem the consequences of unsustainable exploitation of our freshwaters and fisheries. Cawthron Foundation provides an opportunity for you to play a part in developing science for a better world. Donations and gifts to the Foundation help Cawthron to deliver research into areas important to New Zealanders, and to support talented New Zealand scientists. One of the principles when planning to release our catch, is to play and land our trout quickly and efficiently with minimum stress. 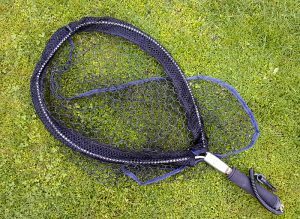 A landing net therefore becomes essential equipment which also helps heaps when handling our catch. A rubberised net bag with a suitable mesh size is also important to reduce damage to the trout’s protective layer of mucus. I have been a supporter of NZ-made Rusler landing nets for over 15 years now and have always been impressed with the finished quality, functionality and durability of all their products. I’ve used many net brands over the years, but nothing matches the latest addition from the “Rusler” stable … the ‘Extreme’ … in terms of strength, balance and ability to handle our large trout. During last fishing season I field tested the new all stainless steel Rusler `Extreme`, under the range of demanding conditions that our fishery poses. It performed superbly in all facets and remarkably, looks as good after 120+ days in the field, as it did when it was just out of its original package. The new net-bag material is made from a rubber-coated braid fabric which is extremely hard wearing. It’s sufficiently deep for our largest trout while minimising water drag due to the 1” mesh. The ‘Extreme’ has been a pleasure to use and so I’m pretty pleased to advise that I have been lucky enough to negotiate an exclusive price offer with ‘Rusler’ for any of my angling friends looking for a high quality landing net. Our special price of just $NZ130.00, includes a set of digital scales and free postage anywhere within NZ, (postage for northern hemisphere friends will be around $NZ25.00). If you are serious about good gear this is an investment in a great piece of equipment that will serve you well for many years to come. It’s an opportunity to own a Kiwi fishing icon; designed, developed and manufactured in NZ. To get yours, contact me at enty10@gmail.com to confirm your interest with postage costs and payment options.This offer will remain current for the entire 2017 -2018 trout fishing season. A little news for my wine aficianados. New figures published by trade body New Zealand Winegrowers show New Zealand’s popularity as a wine tourism destination is growing, with nearly one in four visitors including a visit to a vineyard or winery on their itinerary. 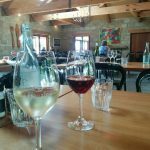 NZ Winegrowers has launched a website, www.nzwine.com to cater for the international interest which includes a directory of over 450 places to visit including wineries. 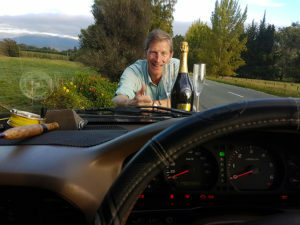 Nelson and Marlborough are home to some of NZ’s finest wines and I’m always happy to ‘get distracted’ from our angling endeavours if you should fancy a winery escape or two as a break from the fishing. fish. Game fish are too valuable to be caught only once” ( Lee Wulff, 1939). “The successful practice of C&R also requires knowledge and good practice … the right handling of the fish depends on knowledge. That knowledge has, thanks to the practice, grown over time, and all anglers today benefit directly from that knowledge, which would not be available without C&R.” (Arlinghaus et al (2007) ‘Understanding the Complexity of Catch-and-Release in Recreational Fishing’).